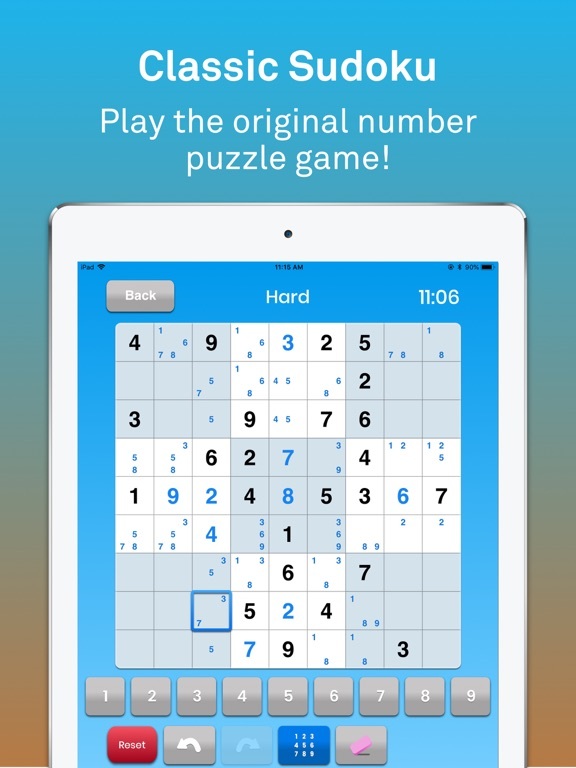 Train your brain anytime and anywhere with Sudoku :), the classic logic number puzzle game FREE on iOS! Sudoku :) is the classic Japanese logic puzzle game with numbers - suitable for all ages and levels. 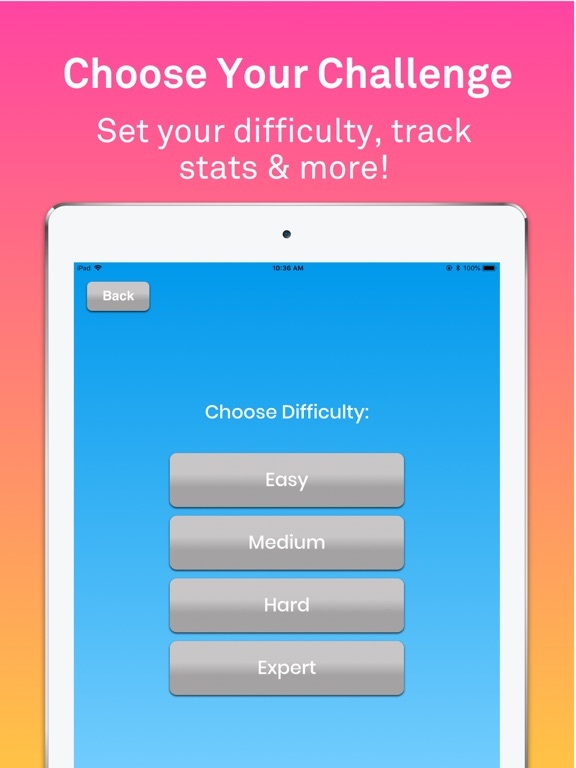 Play easier levels to exercise your brain or challenge yourself with expert/advanced difficulty to give your mind a real workout. Sudoku on mobile is just as good as with a pencil and paper so take your favorite Japanese game wherever you go. 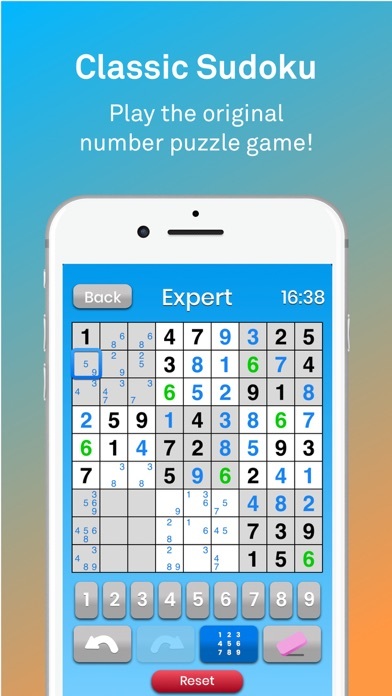 As always, your Sudoku free download will give you access to countless features. 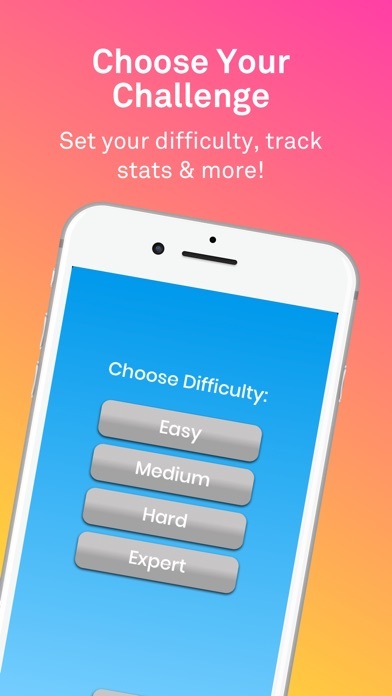 - Endless Sudoku games in 4 different difficulty settings (Easy, Medium, Hard & Expert). - Highlight duplicates to avoid repeating numbers in a row, column and block. - Autosave feature so you can stop and resume the game anytime. - Game Center support for leaderboards and achievements. - Note-taking feature to track possible numbers in grid. - Track quickest completion times from top Sudoku players in leaderboards. - Useful statistics track progress with logic puzzles completed and top completion times. 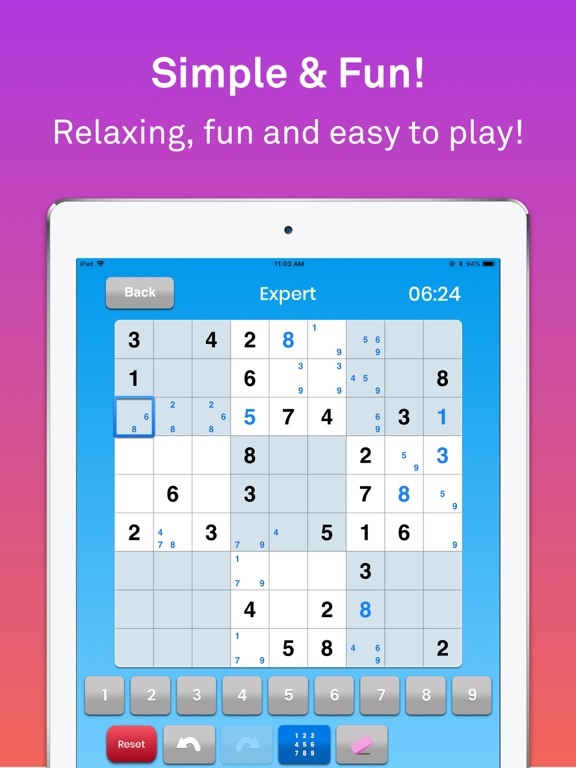 Our boards are always user-friendly and this free Sudoku puzzle game is rated as one of the top brain games for users of all ages. 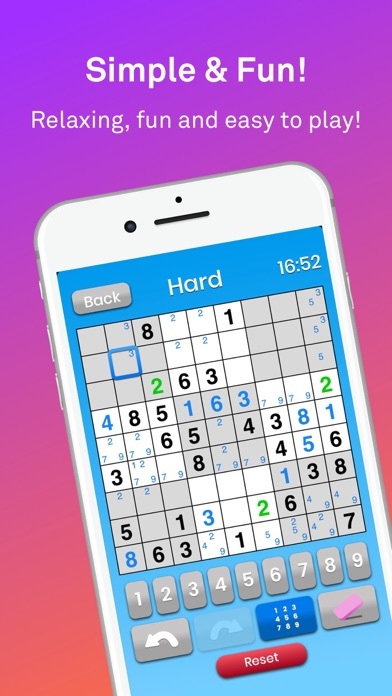 Whether you are new to this classic puzzle game or you’ve been playing for years, give yourself a challenging yet fun casual mobile game experience with this Sudoku app. 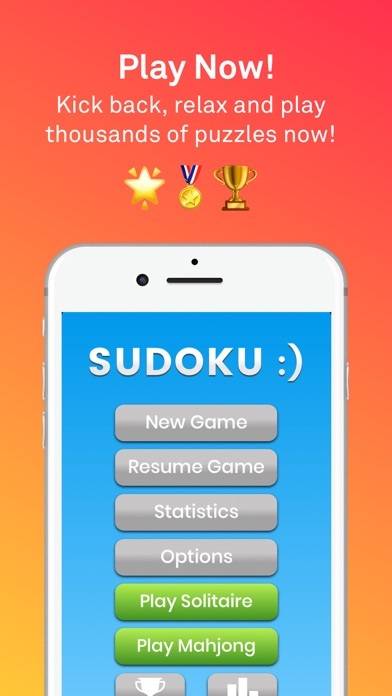 Download the free Sudoku game on your iPhone and iPad today to learn fast Sudoku strategy and quickly improve your skills! 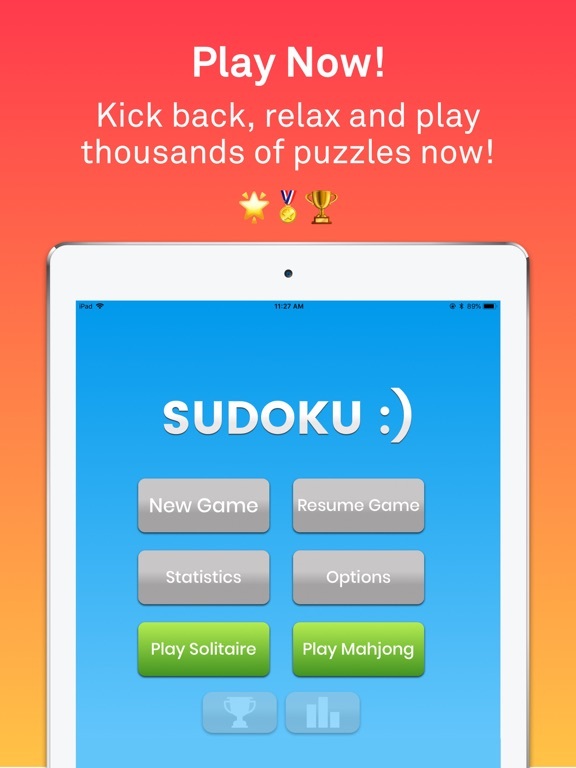 We hope you enjoy our Sudoku app. For questions or feedback, please email us at contact@maplemedia.io. Brought to you by Maple Media and The Solitaire, Mahjong and Sudoku Company. Visit us at http://www.maplemedia.io. This update includes minor bug fixes and performance improvements. Thanks as always for playing! For help, or to send us feedback, get in touch with us at contact@maplemedia.io.